whats your choice for freshwater. Not as important as you might think, every decent production rod and reel out there will cast further than we can effectively fish most situations/presentations. but what are your better choices? less problems , less back lashes ? What do you mean by "best"...farthest distance with "normal" lure weights? Control with light lures? And I assume by conventional you mean low profile baitcasters? Budget? Shimano 4x8 DC. If nothing else, you'll get that high tech R2D2 whine keep you entertained on every cast. It's what you like ? I know there will be different preferences Maybe low profile, Medium price? Something the average angler word use and be happy with? Are we talking conventional reels (Avets, Fathoms, Squalls, etc...) or baitcasters (Abu 6500's, Komodos, Lexas, etc...)? And what are we fishing for? 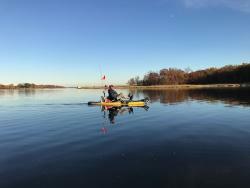 Bass, walleye, salmon, catfish or muskie? ccb, you might want to be a bit more specific as to what you want to do. 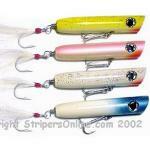 If you're firing cut bait into the tailrace of a dam for big catfish, you might want one reel, conceivably a surf reel. If you're trying to skip a plug under a dock for largemouths, you would want another. No answers to specify the question yet. The best casting conventional reel I have used in freshwater is the Penn Fathom 15nlw. I paired it to the 12ft Offshore Angler Ocean Master surf rod and I could cast 8oz and bait 100yds easy. If I was just casting an 8oz sinker, I could achieve 150yd casts with no problem; this was right out of the box too. Honorable mention goes to the Avet Raptor MXL's and Okuma Andros 5ii's. Neither one I used for distance casting, but they are both very good at casting an 8oz sinker with 10in to 15in live bait on the hook. They both have excellent free spool, but the Avet Raptor has a better mag for cast control. 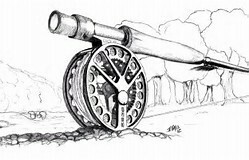 The Andros has a better drag and less binding when fishing heavy drags, while not connected to castability those variables are important when it comes to fishing lever drag conventional reels. I am looking forward to putting more time on the water with this new Okuma Tesoro 12 and Tesoro 5 conventional reel, both reels have some sick free spin out of the box, I need to get a good knobby mag for the Tesoro 5 if I am going to use it for casting long distances. The Tesoro 12 is just going to be for lobbing big live baits. I don't consider baitcasting reels with levelwinds to be conventional reels. larger mouth and Small mouth ? So you are actually referring to small lowprofile baitcasters then. I don't use them for bass, just walleye. I’m a saltwater fisherman 99% or the time ?